And expanded. Not only will Joss Whedon be directing "The Avengers" film, but he will take a pass at Zak Penn's draft of the script which was just turned in last month. He's going to be doing a polish on "Captain America" which begins filming very, very soon. 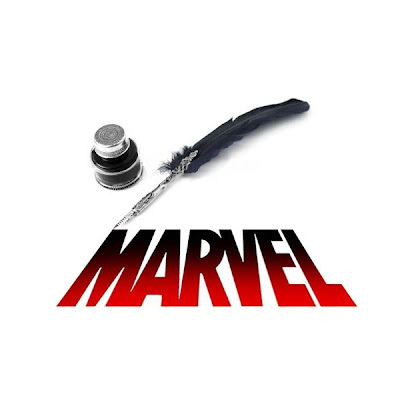 I wonder how it's got this close to shooting that Marvel feels they need a (re)write of the project. I've watched much of what Whedon has done and been impressed with most, but his Astonishing X-Men is my favorite work of his. It also is why I feel he "gets" the Marvelverse and look forward to his take. I think he'll do a very good job with both, particularly since he hasn't ever had the budget to fill out his words... until now. Plus I feel with his script, the Captain America film will be on much more solid grounds. Joe Johnston will have no excuse for a bad movie with a great script, cast and Marvel backing him on creative decisions. All that's left is for him to deliver and I hope very much so that he does. But regardless, Joss Whedon is about to leave a very big mark on the cinematic Marvel universe. I've seen a lot of people complaining about this, but I think it's a great move. And him rewriting or writing the films means that they won't be like the dreek that Fox has been turning out disguised as Comic book adaptions.